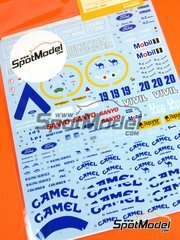 Decoration including a decal sheet and a pre-cut paint mask sheet. 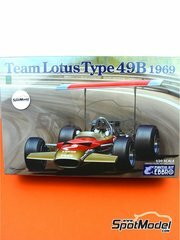 Set of four shock absorbers including springs and turned parts to be used in either Formula 1 cars, street cars, sports cars and rally cars, in both 1/24 and 1/20 scales. 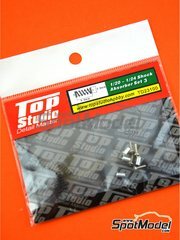 Do not gamble with your beloved model and give it a touch of realism with this detail up set by Top Studio. 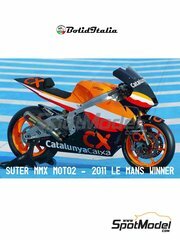 Made of turned metal, it also includes various resins and photo-etched parts for improving brake discs, wiring, connectors, radiator, front fork and several engine parts. 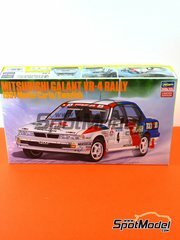 Reissue of the Mitsubishi Galant VR-4 kit featuring the decoration of the Swedish Rally winner. 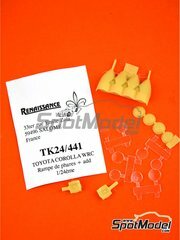 The kit includes photo-etched parts and fabric for seatbelts and front and rear mud guards. 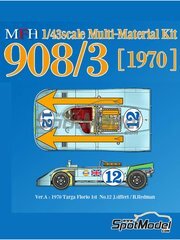 Rubber parts, chromed parts, aluminium prepainted parts, and on and on until you reach the 298 parts included in the enormous box of this scale model. 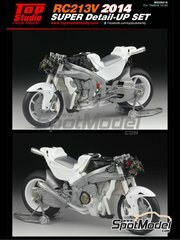 Can you refrain to this motorbike beauty? 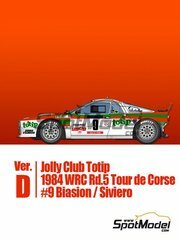 Resin made headlamp ramp for the Toyota Corolla WRC. 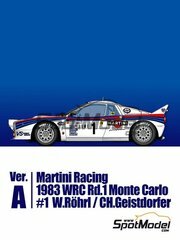 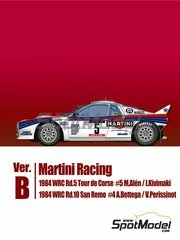 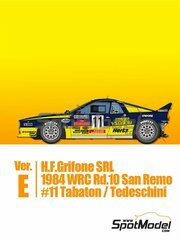 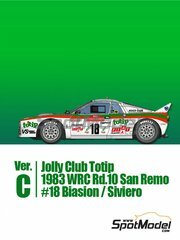 Amazing kit, as always, of the Lancia 037 in 1/43 scale, with plenty of details everywhere. 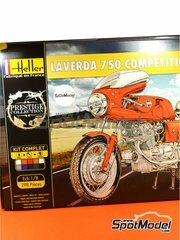 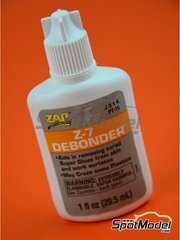 Caution: this model is only for very experienced modelers. 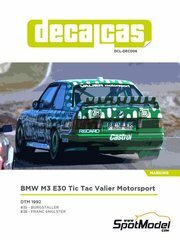 Don't panic!! 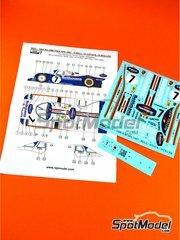 Tabu bring us these complete decals with all tobacco logos for the gorgeous Shumacher's B192. 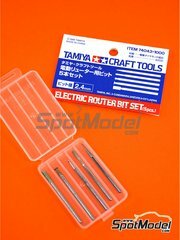 Now you can finally build your old kit!! 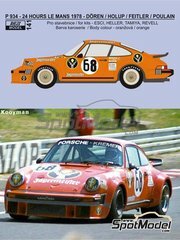 Decals for recreating the Porsche 934 sponsored by Jagermeister used by the Kremer team to race the 24 hours of Le Mans in 1978. 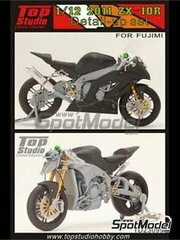 Front fork and rear dumper detail-up set for the Honda RC213V by Tamiya. 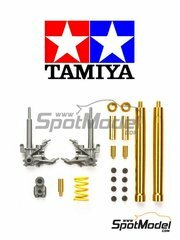 Includes plastic, turned metal and CNC machined parts, as well as the rear dumper coil spring pre-painted in yellow. 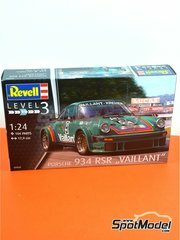 One of the most eagerly awaited scale models by Revell, the Porsche 934 Turbo RSR Group 4 with Vaillant decoration. 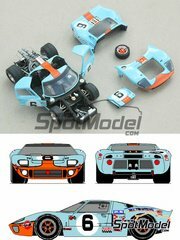 The kit includes detailed engine, fully operable rear bonet and front trunk, detailed interior, etc.